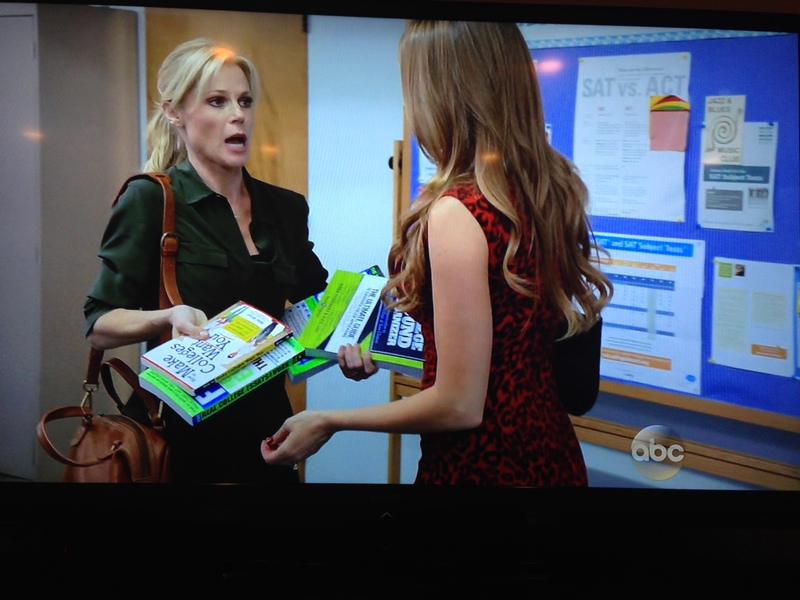 The College Bound Organizer is perfect for every Modern Family, as seen on January 15th on ABC TV. 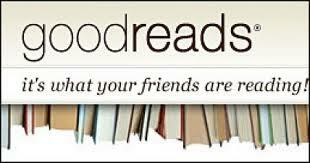 GOODREADS book giveaway from September 16th through October 18th, 2013. 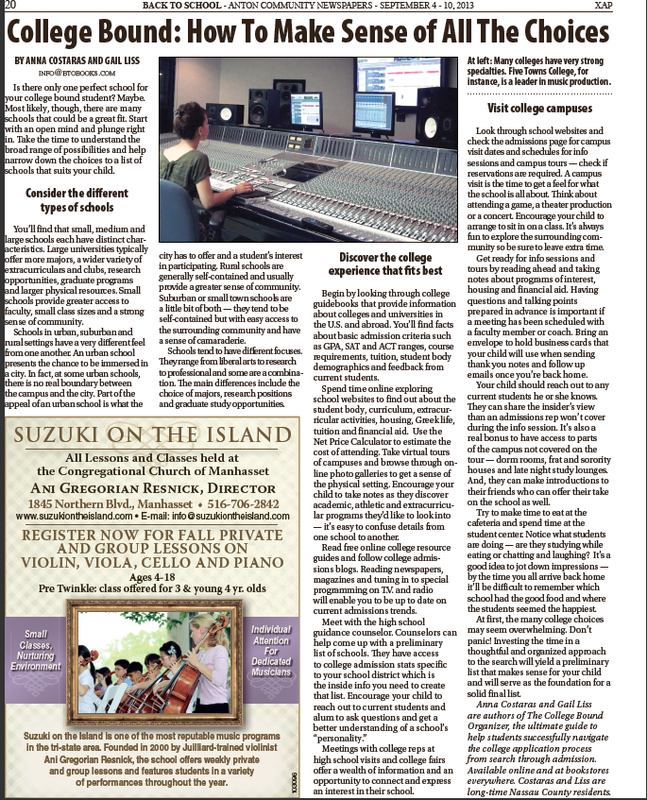 THE QUEENS GAZETTE features Anna and Gail’s tips to organize the college search and application process. 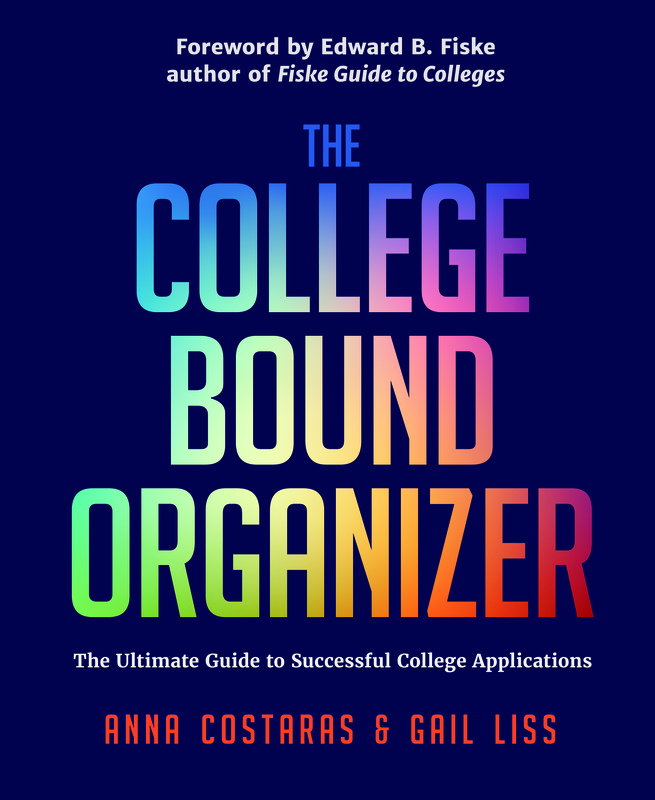 The University of Rochester’s ROCHESTER REVIEW September-October 2013 Books & Recordings section highlights The College Bound Organizer, co-authored by alum Gail Liss. NORTHEAST PENNSYLVANIA FAMILY MAGAZINE features The College Bound Organizer in their book giveaway contest. THE CHRONICLE OF HIGHER EDUCATION features The College Bound Organizer in their list of selected new books on higher education. 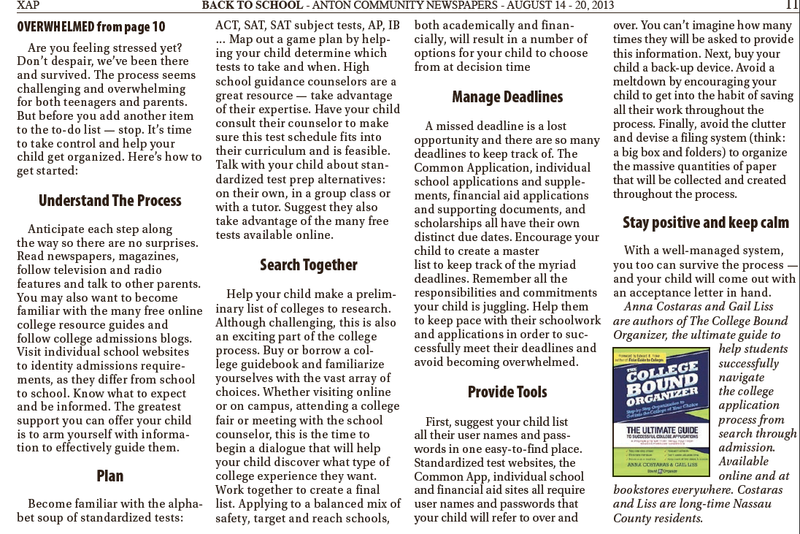 CAROLINA PARENT MAGAZINE recommends The College Bound Organizer to students to help streamline their application process. 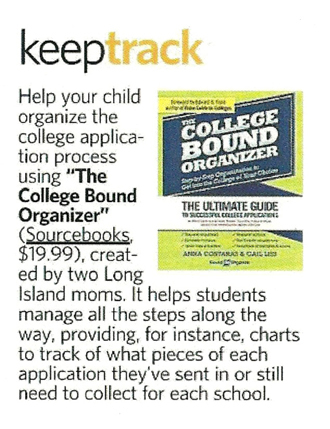 NEWSDAY.COM’s Long Island Parent writer, Beth Whitehouse, promotes The College Bound Organizer to juniors to help them organize their applications.